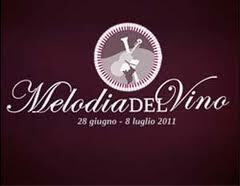 Tuscany presents its gastronomic and artistic heritage in magnificent backdrops, theatres, castles and country estates from June 28th to July 8th , 2011. A stunning landscape, gorgeous wine and melodious music: these are the ingredients of Melodia del Vino, the festival born from a collaboration of Cristina Scaletti, Tuscan Tourism Councillor, Michel Gotlib, president of the event and Marc Laforet, celebrated Parisian pianist who has successfully been experimenting for nine summers in Bordeaux, France, the Grands Crus Musicaux, the lucky formula conjugating music, wine and local culture. Here in the best villas in Tuscany, high ranked musicians and orchestras will perform to entertain visitors with flowing music and wine. 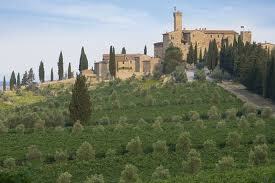 The really evocative locations are the Villa Le Corti in San Casciano Val di Pesa, Florence, the Rocca di Frassinello in Gavorrano, Grosseto, the Villa Fanini, Capannori, Lucca, the Castello Banfi in Montalcino, Siena and the Rocca di Montemassi, Roccastrada, Grosseto, in the wild Maremma. 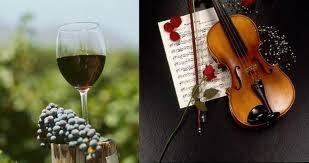 Each evening of this festival is going to be an event in itself, owing to the top quality wines guests will savour and to the delightful melody of the many musical instruments: cello, piano, violin and classical guitar. Just few great musicians: Nelson Goerner, Argeninian pianist, Laforet performing with the Russian violinist Segej Krylov ,Gautier Capucon ,cellist, Giovanni Bellucci, Italian pianist and Yulianna Avdeeva, Russian keyboard virtuoso, winner of 2010 Chopin contest . The philosophy characterizing this event moving to Florence, Siena, Lucca, Grosseto is deeply rooted in beauty, elegance and taste, as a result of commitment to perfection. All this will be offered to Tuscany addicted visitors who will be able to find on Tuscany Holiday Rent’s website the best accommodations in Tuscany such as holiday apartments in Florence, from which to move towards the various festival locations, or to choose Tuscan villas for rent directly on the sites. Questa voce è stata pubblicata in Music and events, Senza categoria. Contrassegna il permalink.